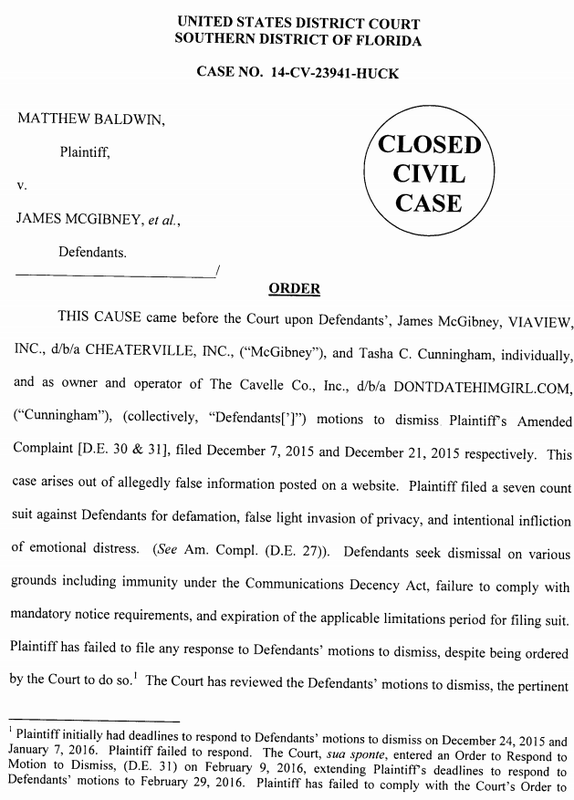 The defamation case against ViaView's Cheaterville has been dismissed with prejudice. 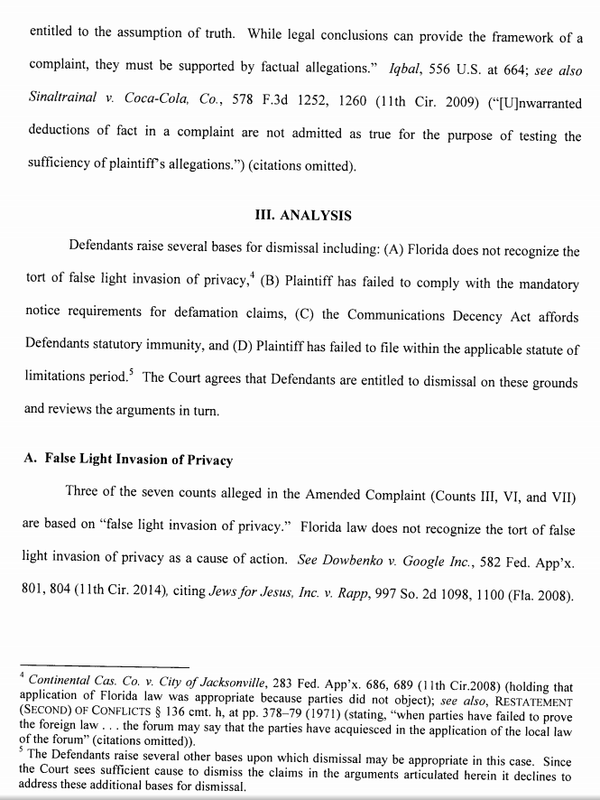 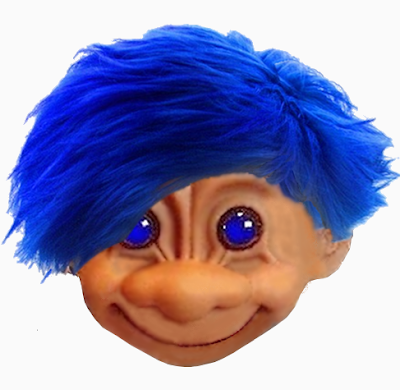 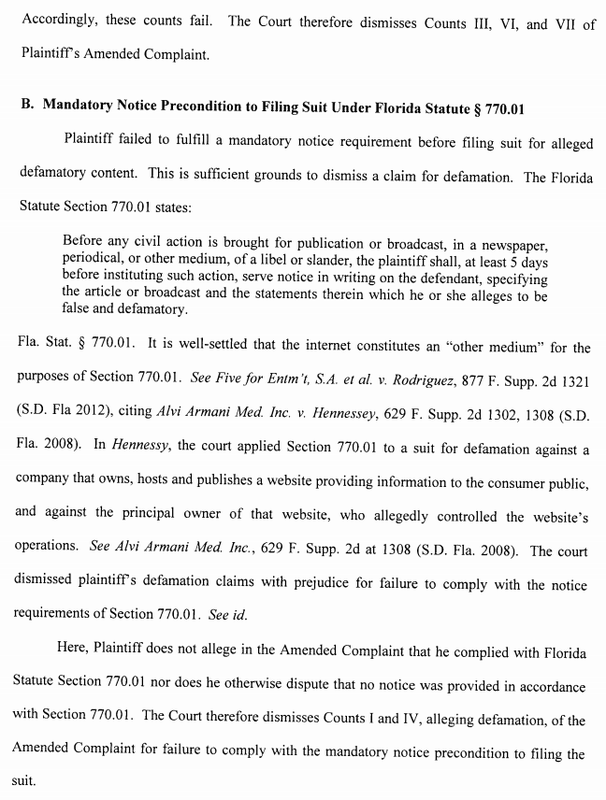 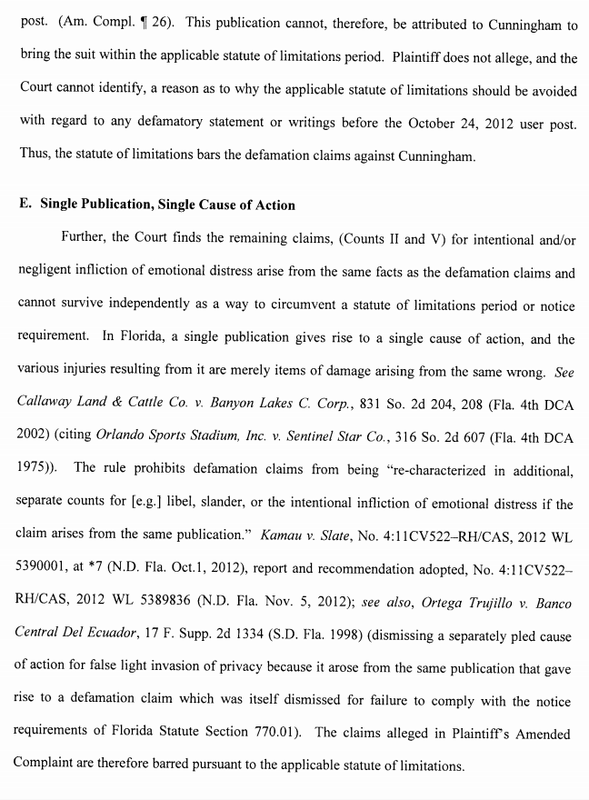 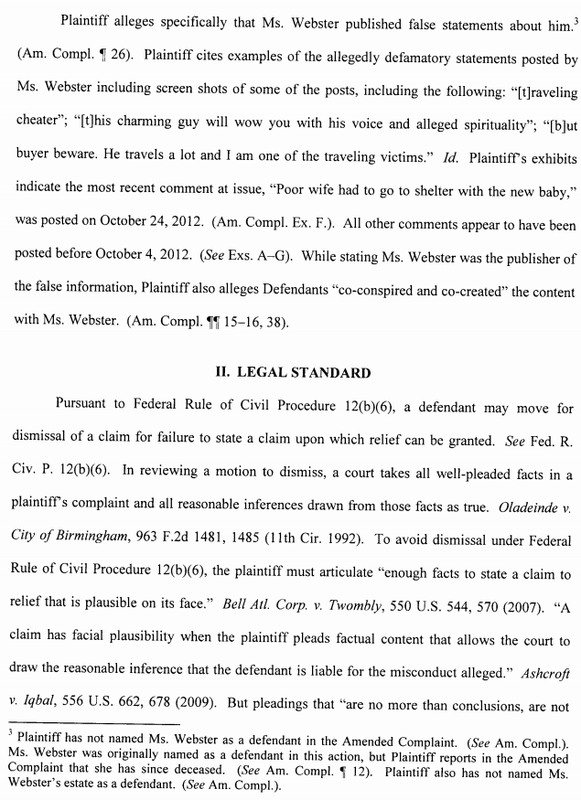 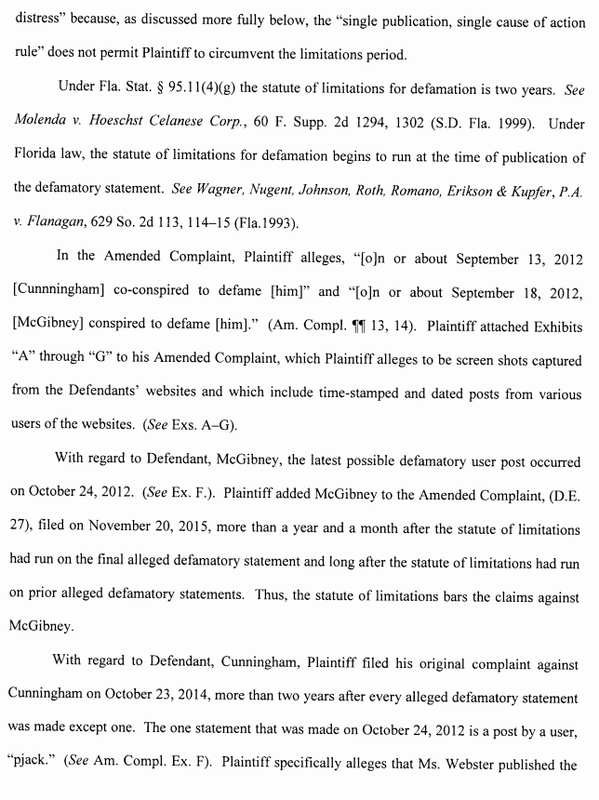 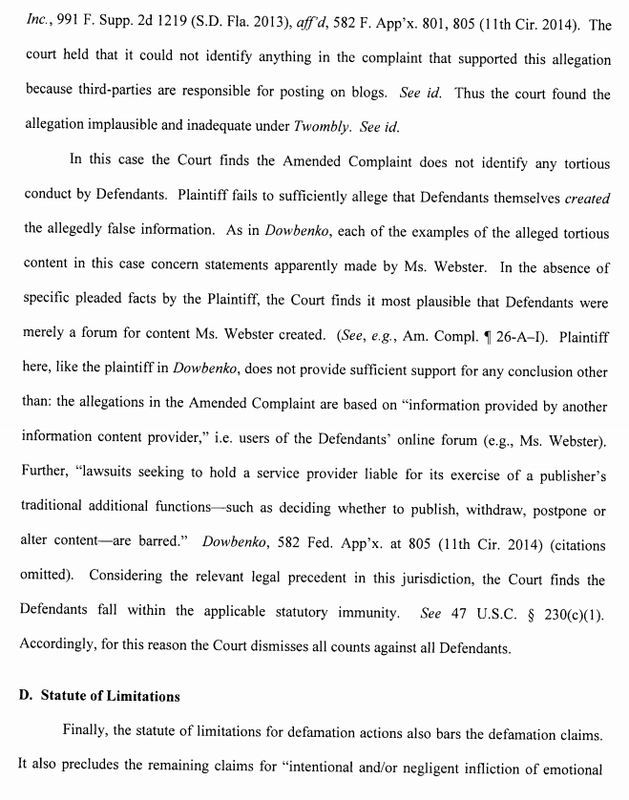 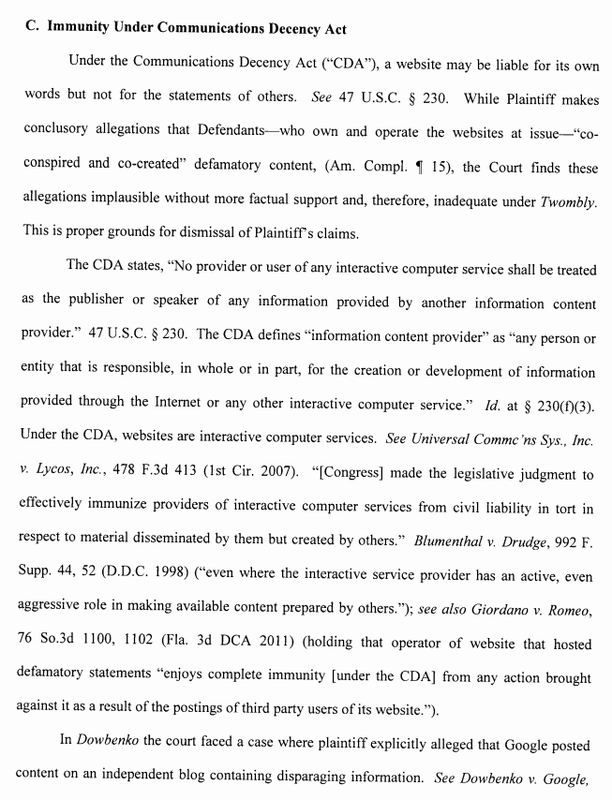 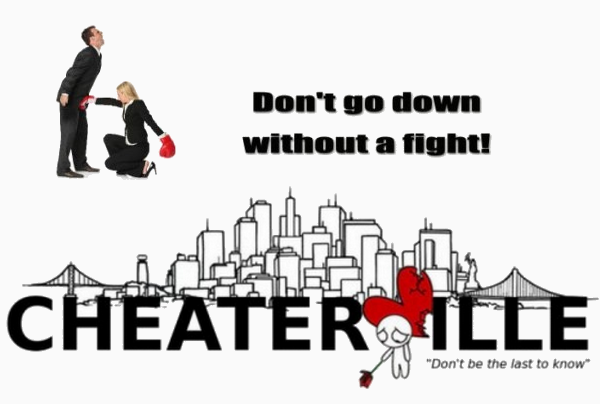 The plaintiff, Matthew, was suing Cheatercville for what someone else posted about him. 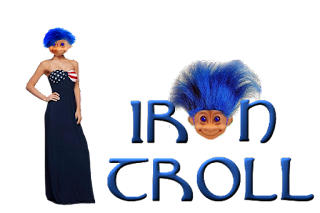 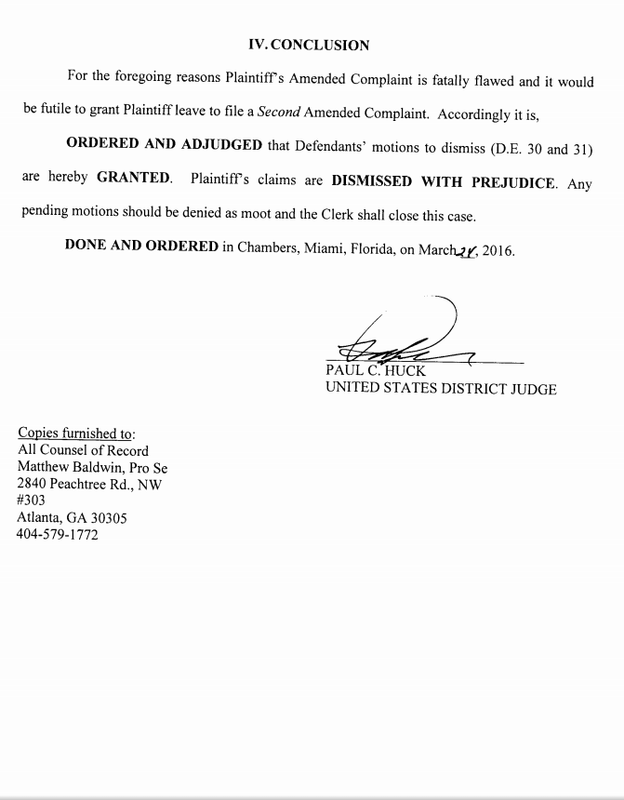 The case was dismissed on several grounds.